It’s orange. I still don’t like orange. 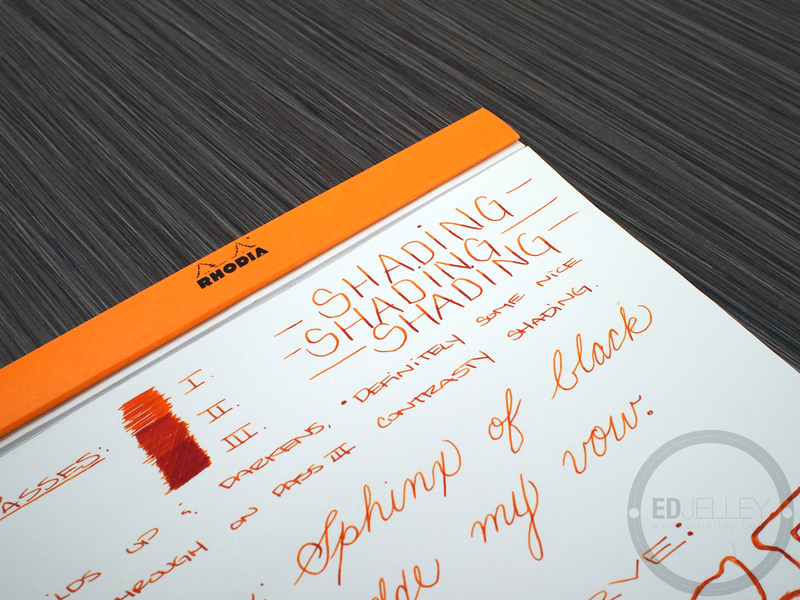 This is the physically largest ink review I’ve done, being that it’s on a Rhodia No. 16 pad. I decided to try something new (and give myself some more room on the page) by placing a sheet from my Doane Writing Pad underneath some blank Rhodia. So let’s see how it goes. I feel like I’ve missed some sort of pen blogger rite of passage where they were all initiated into the world of loving the color orange. I’m really not a huge fan of the color, pretty much anywhere. 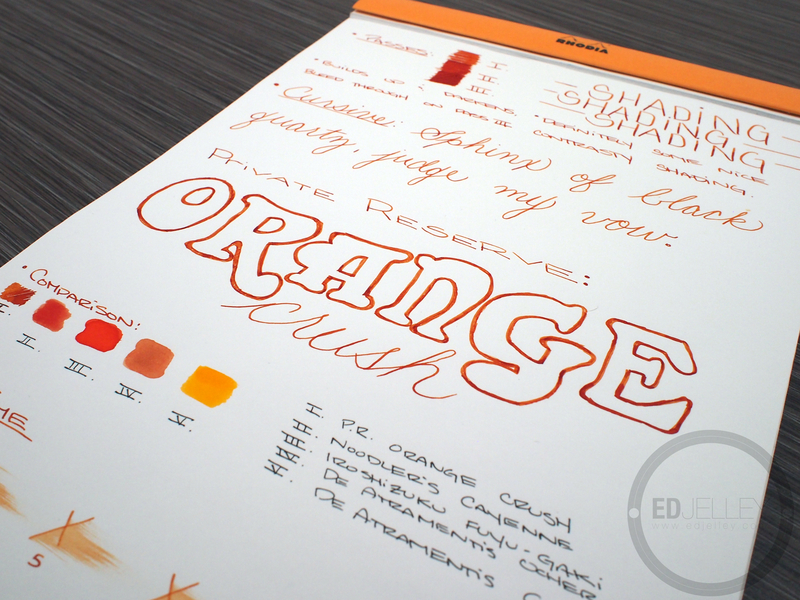 That being said, Private Reserve’s Orange Crush is a nice looking ink. 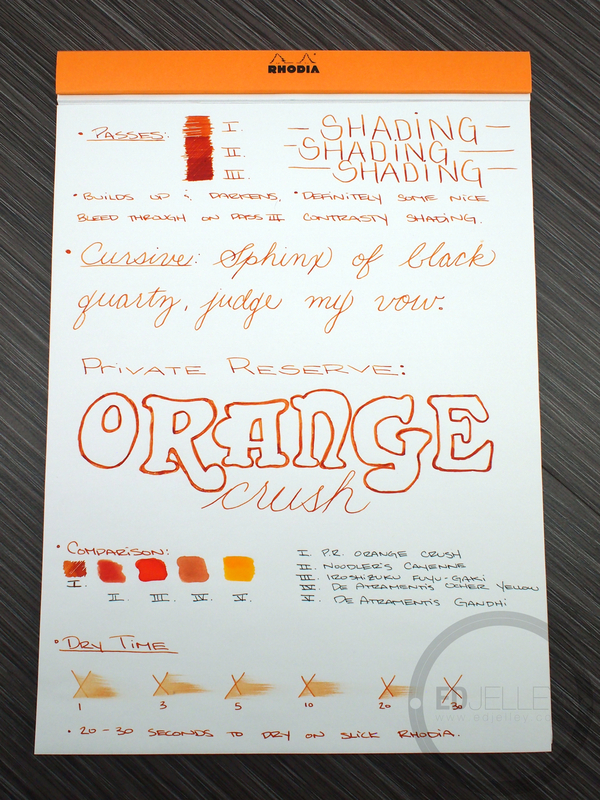 There’s some nice mild shading in the Karas Ink’s medium nib, but it’s nowhere the full on shading assault that’s seen with Noodler’s Apache Sunset. P.R. 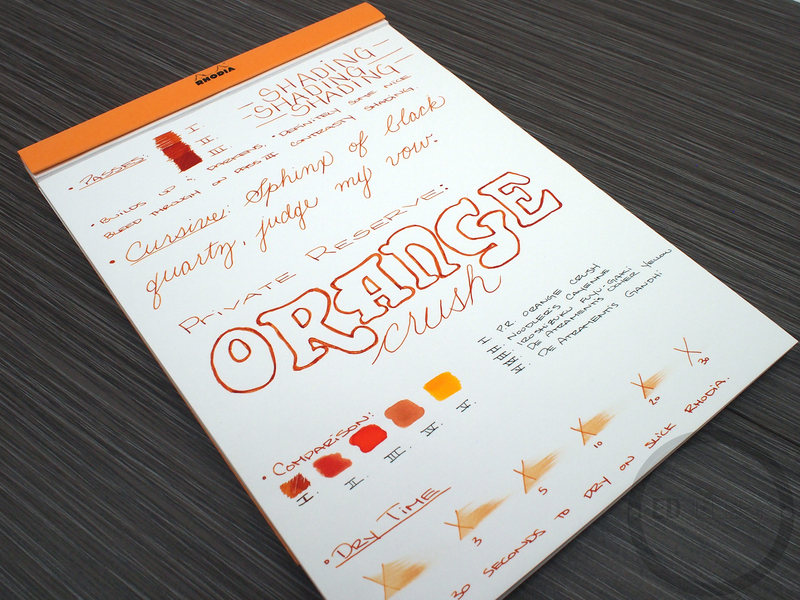 Orange Crush is a bit darker, and a tiny bit more muted than Apache Sunset, and with far less yellow. 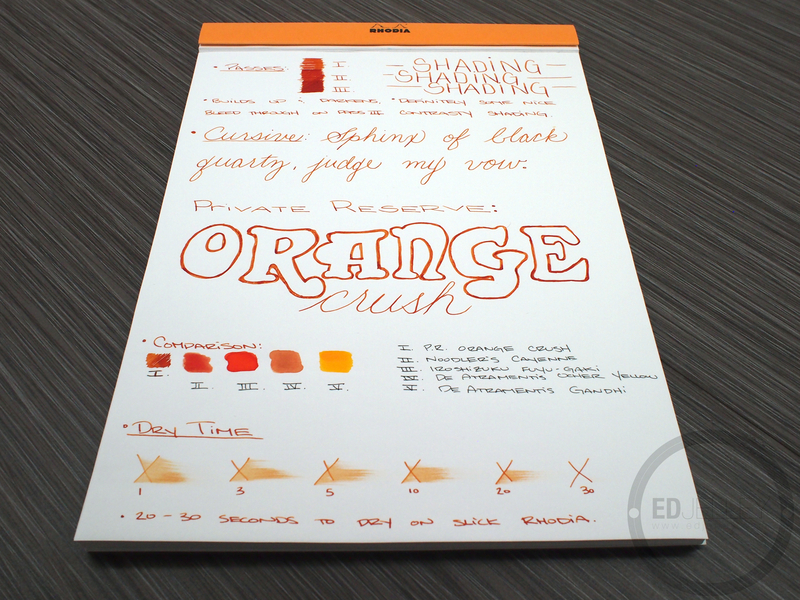 It’s somewhere between the muted Noodler’s Cayenne and everyone’s favorite Apache Sunset. The more I’m writing with the ink, the more I’m noticing it’s a bit dry. 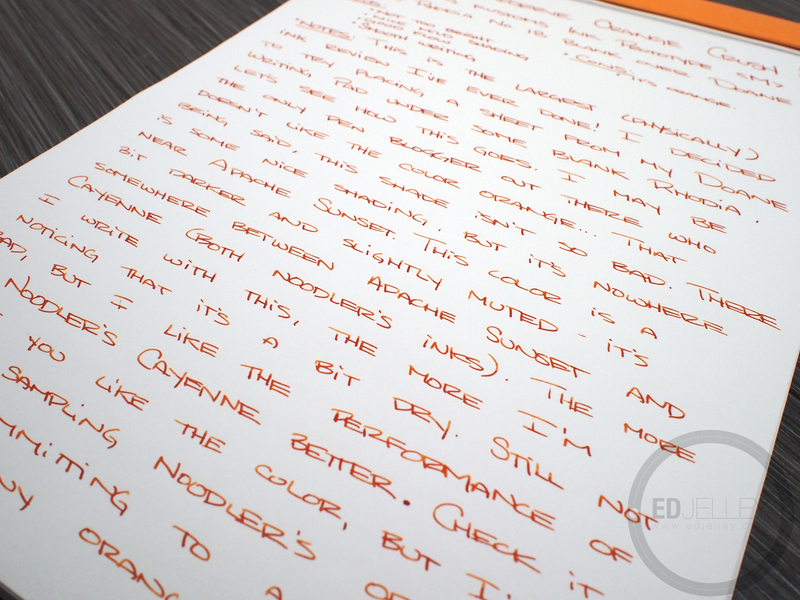 It’s not bad, but I prefer the performance of Noodler’s Cayenne which is very close in appearance. 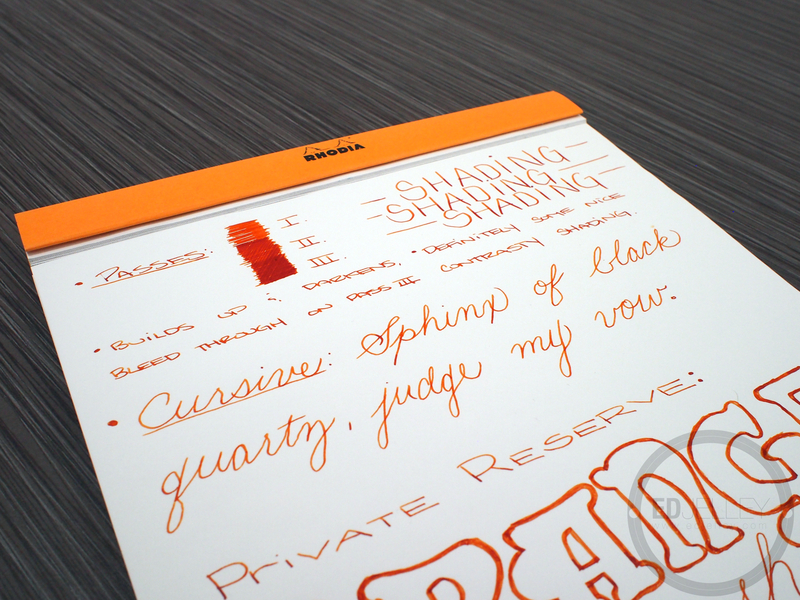 If you like the color of this ink, it doesn’t disappoint, but I personally prefer Noodler’s orange offerings. Make sure to do some sampling before committing to a full bottle! Thanks for the review on this. 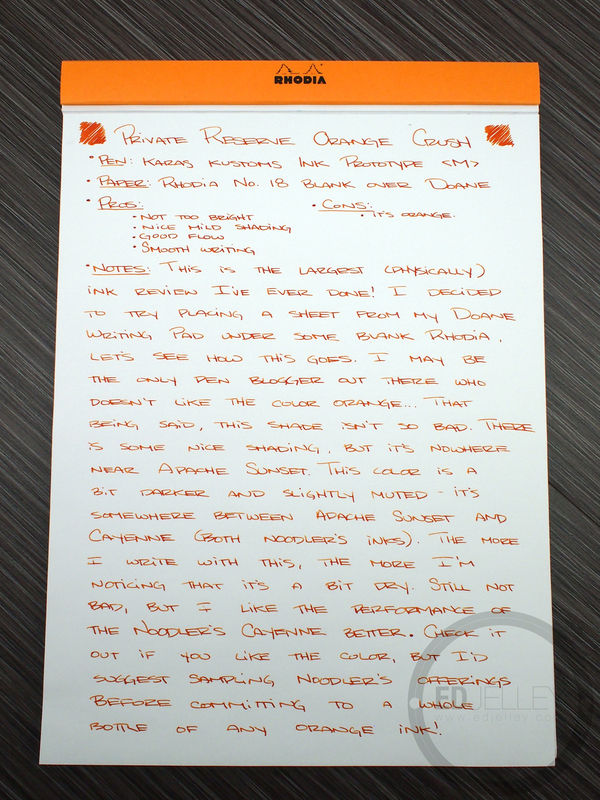 I’d tried a sample of Noodlers Cayenne and enjoyed it but haven’t cracked the seal on my Crush sample yet. 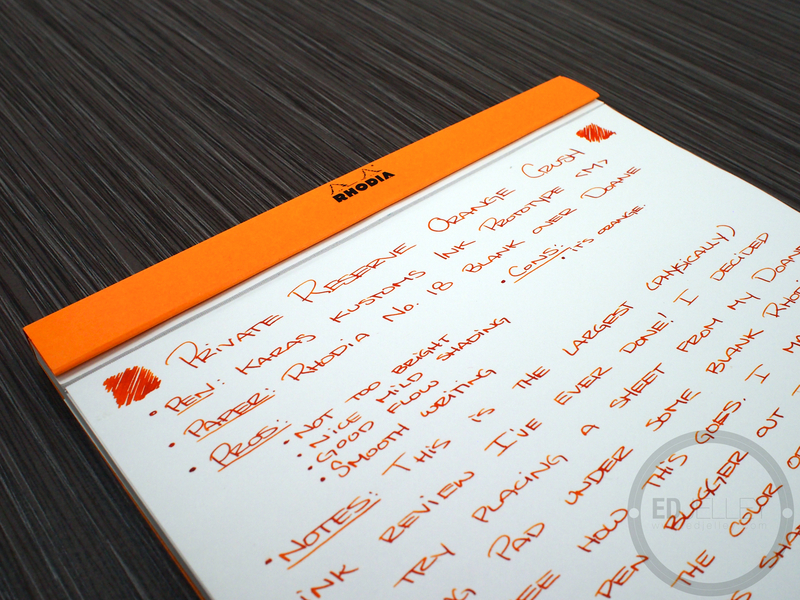 Saw this on Rhodia Drive – just wanted to say you did a great job recreating the bubble script on the Orange Amplifier logo!